Pop star rising Rita Oro is wearing her long ashy blond hair side parted in this.. Pop star rising Rita Oro is wearing her long ashy blond hair side parted in this hairstyle, which is latest favorite parting of many top showbiz ladies. Her very smooth and silky perfect loose curls are simply screaming with glamor. So what’s the catch? Well, besides your usual weapons of choice like heat treatment protection spray, antifrizz serum, mousse, cream and the likes, blow dry your hair section by section directing the air flow down the shaft. Last, but most important, hold your curling iron up straight instead of horizontally while curling large sections of your hair. 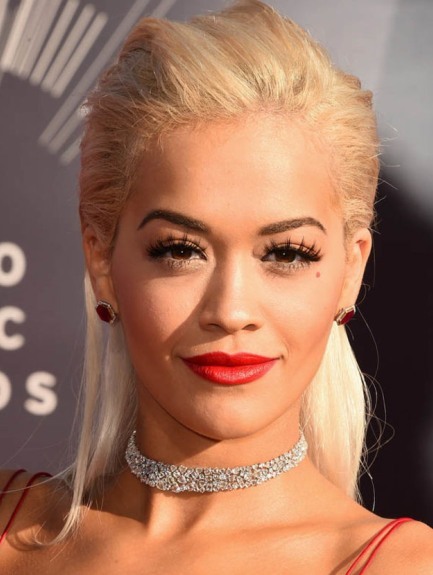 Rita Ora modernized a vintage hairstyle by making the curls more loose and relaxe..
Rita Ora modernized a vintage hairstyle by making the curls more loose and relaxed. Use a curling cream to make the curls stay before swirling sections around extra large hot rollers. Don’t shape the curls together. Finger comb them and allow them to go to different directions instead. Mist the hair with a hairspray with light hold as a finale. Rita Ora’s straight, blonde hair is cut in a chin-length bob hairstyle. To make t..
Rita Ora’s straight, blonde hair is cut in a chin-length bob hairstyle. To make the look modern, ends are flat ironed and one side is tucked behind the ear. Rita wore this look to the 2013 VMA Awards. A blunt bob is pretty much hard to pull off unless you’re Rita Ora! 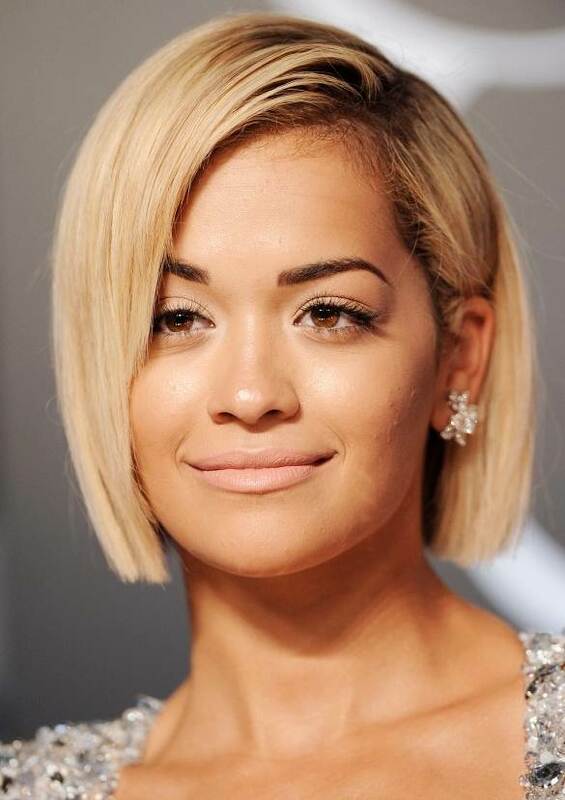 We love this..
A blunt bob is pretty much hard to pull off unless you’re Rita Ora! We love this classic ‘do with a deep side part on this beautiful Brit! Avoid this hairstyle if you’re face is round or your hair is thick. Do try it if you’re hair texture is fine to medium.